I apologize for the image size in advance. 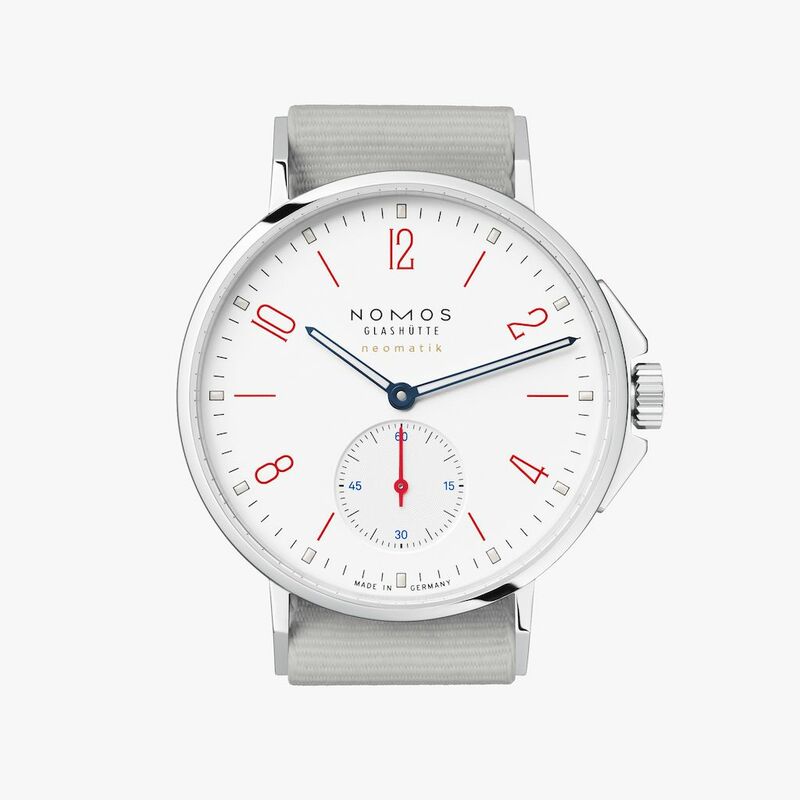 We're having some difficulty with our host today so I have to link to Nomos' photos for the moment. Normally I resize them for DWC. 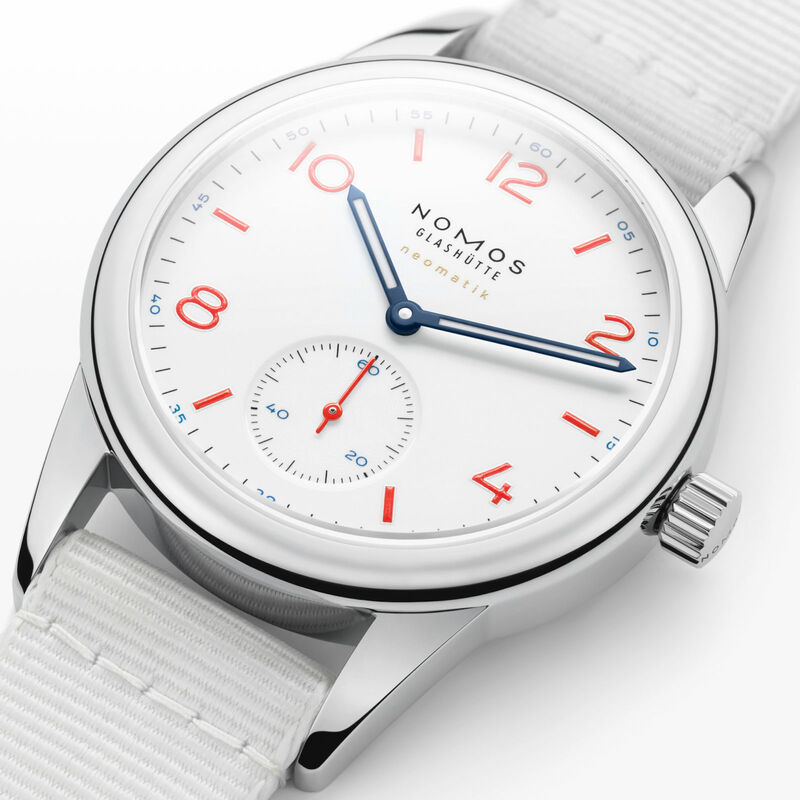 Nomos just added two new summer-friendly options to their growing collection of Ahoi and Club watches. 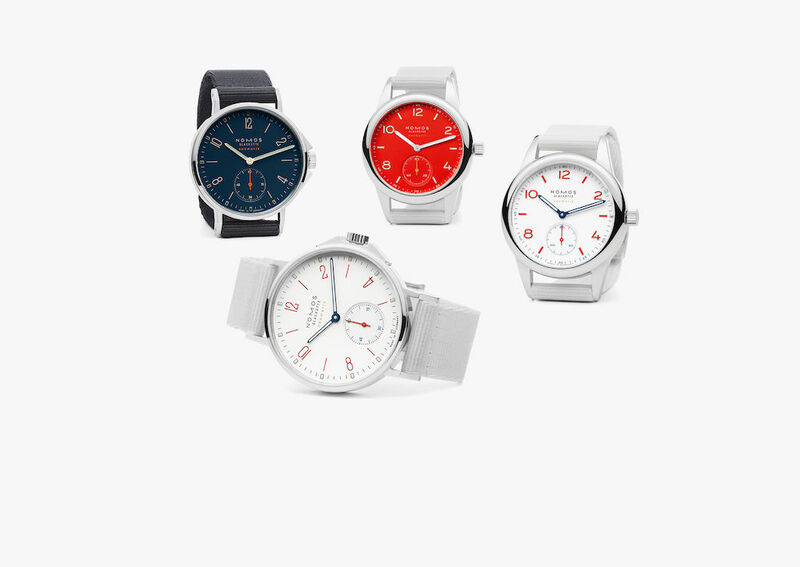 The Ahoi line was, from the very beginning, designed to be a swimming and beach watch, whereas the Club only recently became familiar with the sea. They aren’t quite dive watches in the traditional sense, and yet, they need be no stranger to water either, thanks to their 200 meter water resistance. Lacking the bulk of a conventional dive watch, as well as its serious demeanor, these makes perfect companions for a warm weather vacation. Let’s take a look at each new model. 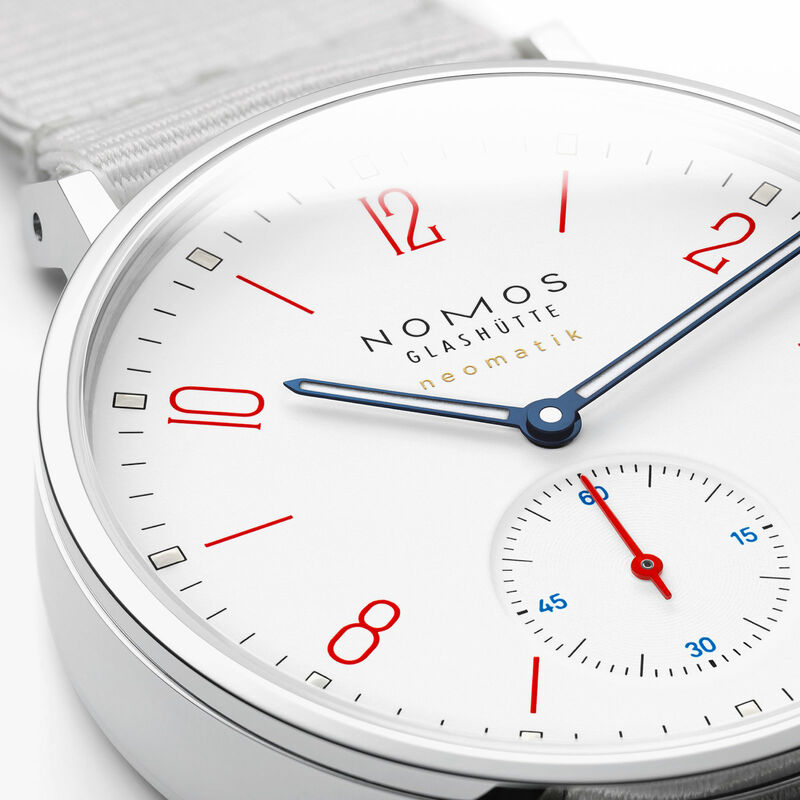 We’ll start with the reference 564, AKA the Nomos Ahoi Neomatik Siren White, seen above. 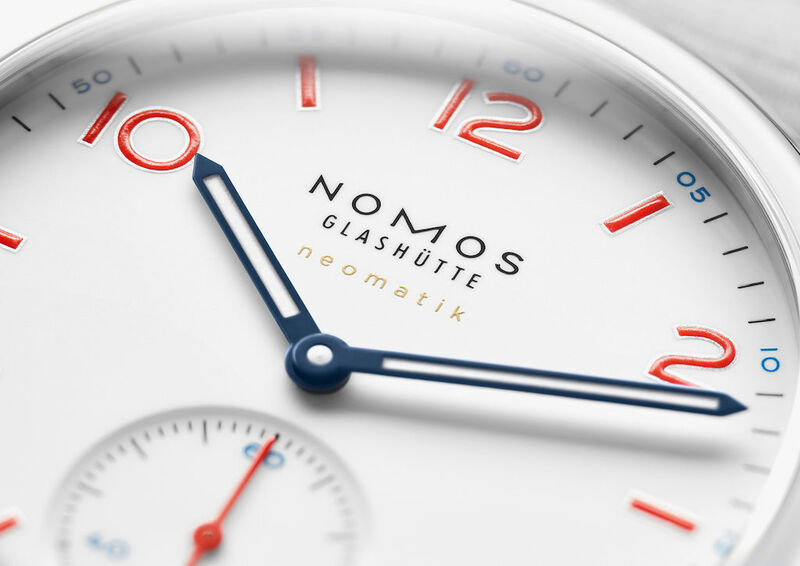 Nomos is getting a bit verbose with its naming scheme lately, but fortunately, that complexity has not been passed down into the design of the watches. Like the new Club, the watch features a beautiful white dial, perhaps slightly reminiscent of the Rolex Explorer II and its well-loved “Polar” dials, although in this instance, with intense red and blue accents instead of a red or orange GMT hand. The Reference 564 features the latest ultra-thin automatic DUW 3001 movement, helping keep the 36.3mm watch below 10mm thick, quite a rarity for a watch with any decent water resistance these days. 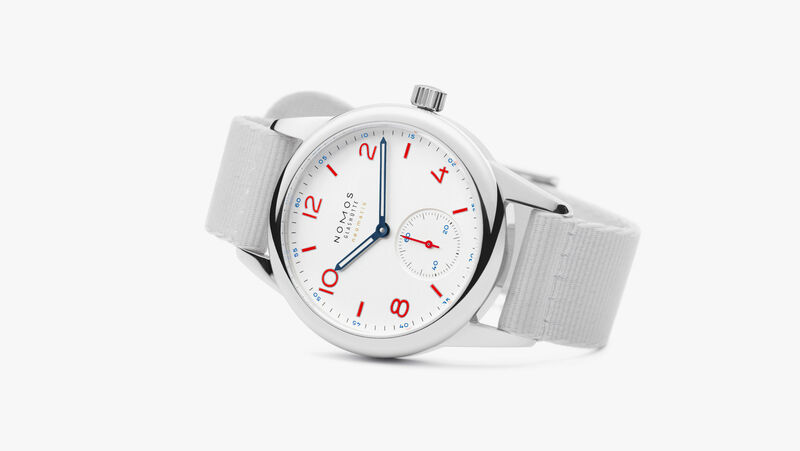 The new Ahoi Siren White will cost $4,120 and you can pre-order it here. 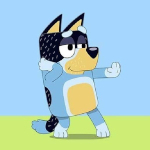 The new Ref. 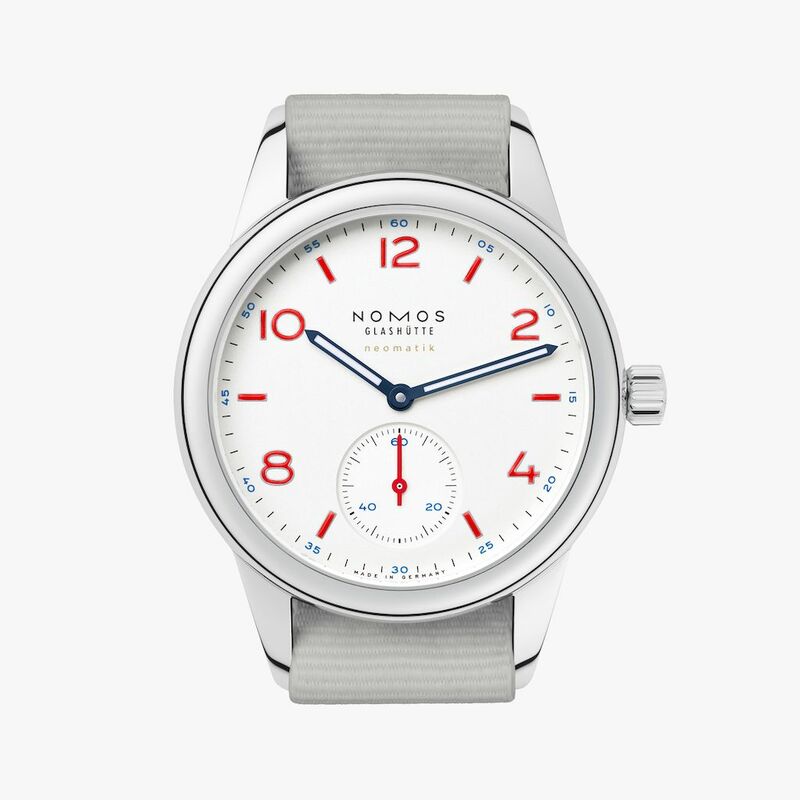 744, or the Nomos Club Neomatik Siren White is, unsurprisingly, much the same as its Ahoi counterpart, albeit in a less aggressive case without crown guards. Nonetheless, there are some subtle differences aside from that. Like most Clubs, it features relatively bold Arabic numerals, and it skips the Ahoi’s luminescent hour markers in favor of blue numerals along the perimeter of the dial. The watch is ever so slightly larger than the Ahoi, at 37mm, yet slightly thinner as well, at about 9.3mm thick, again thanks to the beautiful DUW 3001 automatic. Although the 744 comes from a Club heritage as opposed to the Ahoi, it loses no water resistance compared to its sibling. What it does lose, however, is found in its price: at $3,160, it’s nearly a thousand dollars more affordable. You can pre-order yours here. That’s quite good, in my view, because it’s my favorite of the two. 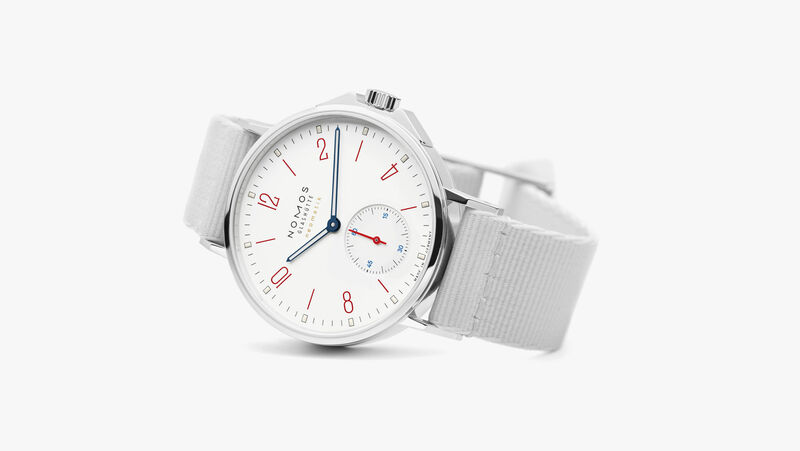 Still, I think the new Siren White is my favorite Ahoi yet, and while it’s not my favorite Club ever (that’d either be one of our Timeless LEs or the Club Dunkels), it may be my favorite of the current lineup.